Hey everyone! 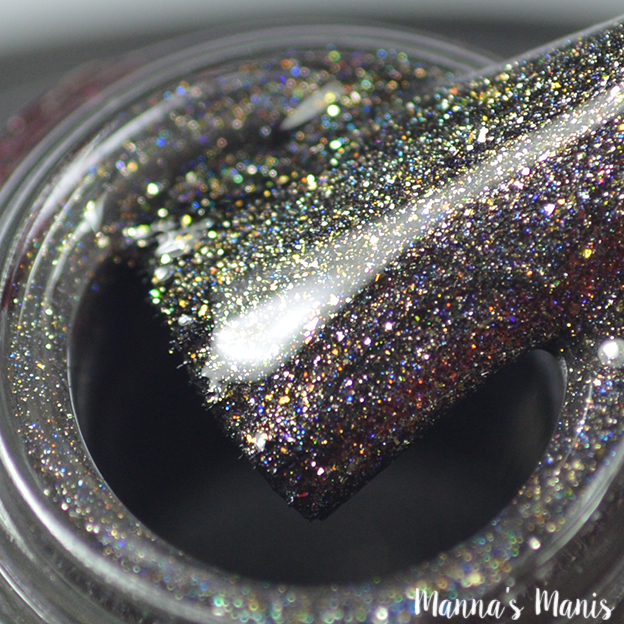 I was also sent this Limited Edition polish along with the Raven duo, but I thought this deserved it's own post. 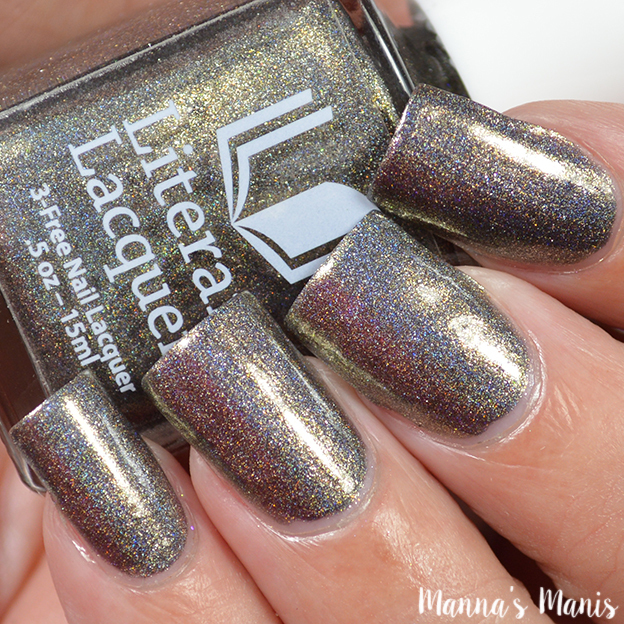 For every polish bought, a $5 donation from each bottle will be going to Juvenile Diabetes Research Foundation. With Type 1 Diabetes, every day can feel like a succession of needles. Each day is filled with finger pricks, blood tests and insulin injections. 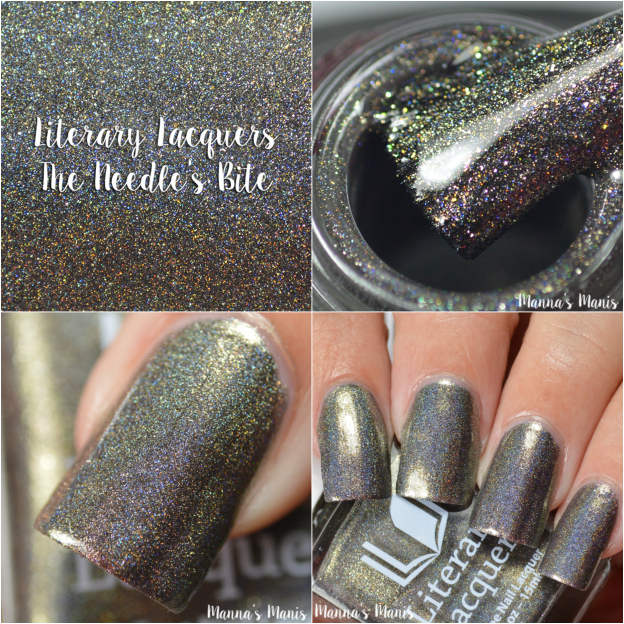 The Needle’s Bite, developed in collaboration between Literary Lacquers and Alex and Eli Bacon-Leslie, will raise funds for Juvenile Diabetes Research Foundation. 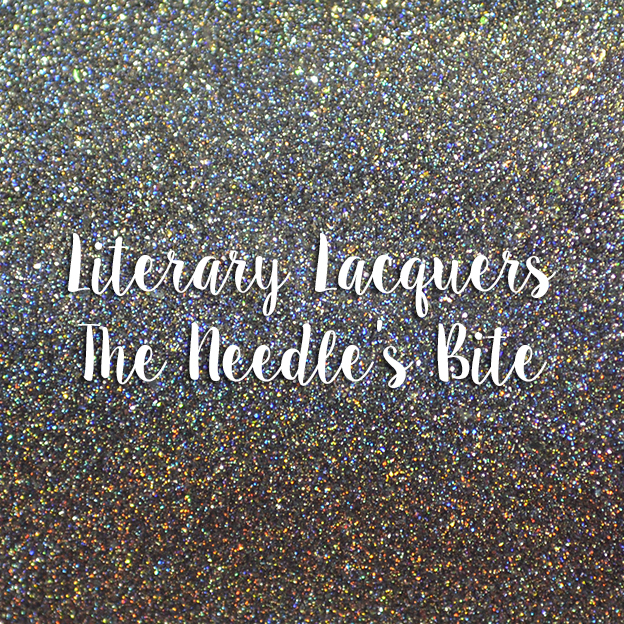 A big fan of the “Newsflesh” series by Mira Grant, Eli Bacon-Leslie chose to name the polish “The Needle’s Bite” because of his experiences living with Type 1 Diabetes and endless days of needles and blood tests, something the characters in the book could empathize with. The characters in the “Newsflesh” series live in a world of constant needle pricks and blood tests, but in their case, the tests are for zombie amplification, not blood glucose. 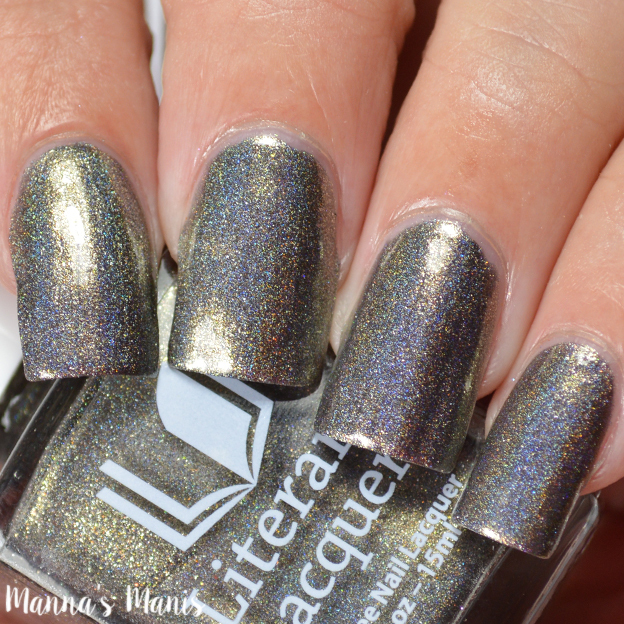 The Needle's Bite is described as a vampy mysterious metallic gunmetal linear holo with an antique gold highlight shimmer. Applied smooth, formula was perfect! Could easily be pulled off in 1 easy coat. Below my pics show 2 coats with top coat. Price & Availability: LE available from October 17 - November 16, $13 with a $5 donation from each bottle going to Juvenile Diabetes Research Foundation.